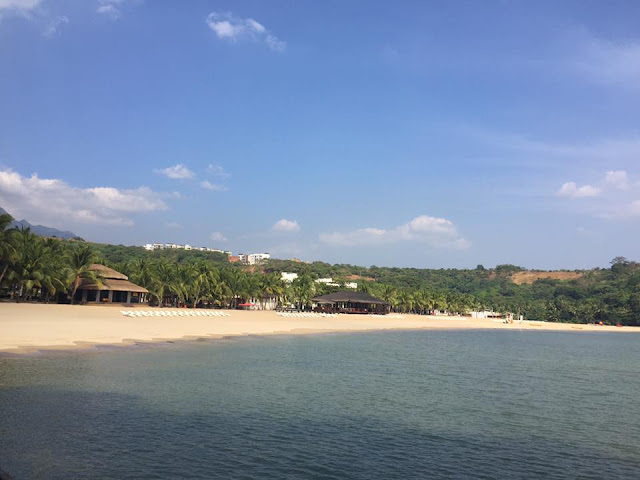 Planning to go to Camaya Coast for a day tour only? Check this DIY guide to Camaya Coast in Mariveles, Bataan that costs less than Phpa 1k including lunch already. Actually for Php 599 to be exact, you have the beach with an infinity pool access. Not to mention inflatable obstacles and biking are all FREE to use. 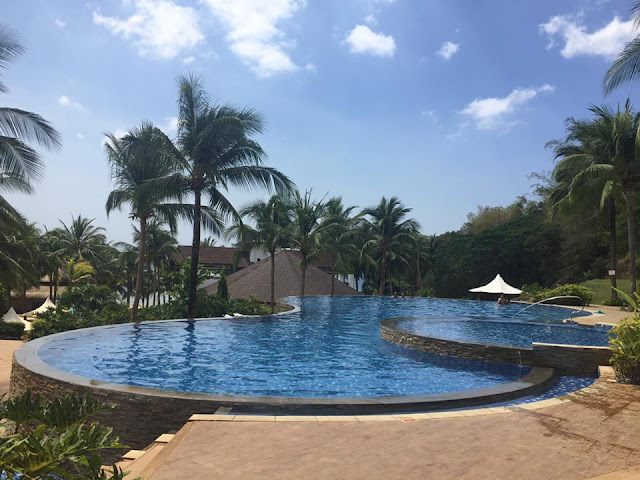 Please see below our Camaya Coast Day Tour review from Karen Villagracia who just went there recently. NOTE: Regular day tour rate in Camaya is Php 899. This Php 599 is a promo that's not available every day. First, please make sure you book at the offical websit via www.camayacoast.com then choose "Book a Day trip. What will appear is Php 499, don't be confused! When you click the ferry option, there's a Php 100 additional charge. If you are bringing lots of stuff, then you might consider getting a locker for Php 49 only. The locker is big enough to accommodate two persons' belongings. 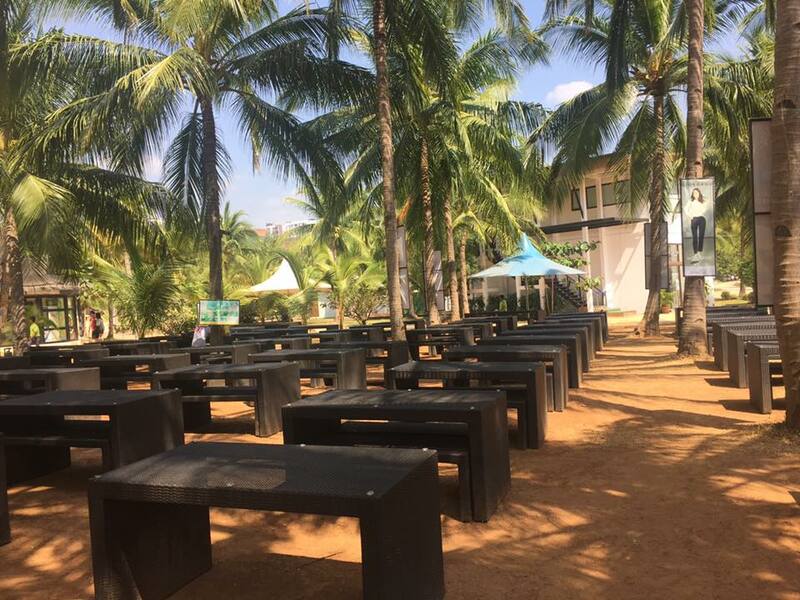 It is advisable to book your day trip to Camaya Coast during weekdays because during weekends, crowd is bigger. 1. From Espalanade Terminal Seaside MOA near Vikings and beside 7-11 shop. The departure is always on time so please make sure you aren't late. You have to be there at least 30 minutes before or at least an hour before your ferry ride. 2. There's a seat number so you don't have to worry. One thing we never realized is that it is actually fine bringing food but only chips, cookies and bottles of water. For those who want to do a picnic style like bring your home cooked food - that's a big NO. 3. Travel time is 1 hour and 45 minutes to 2 hours maximum. You are free to sleep or enjoy the view of sea while on the ferry ride. 1. The staff will give you a Camaya Coast card. For those who availed of locker, that will serve as a keycard as well. 2. If you use Camaya Coast card to buy food and drinks, you're entitled for a 10% discount. This serves as your souvenir as well because you can bring this home. 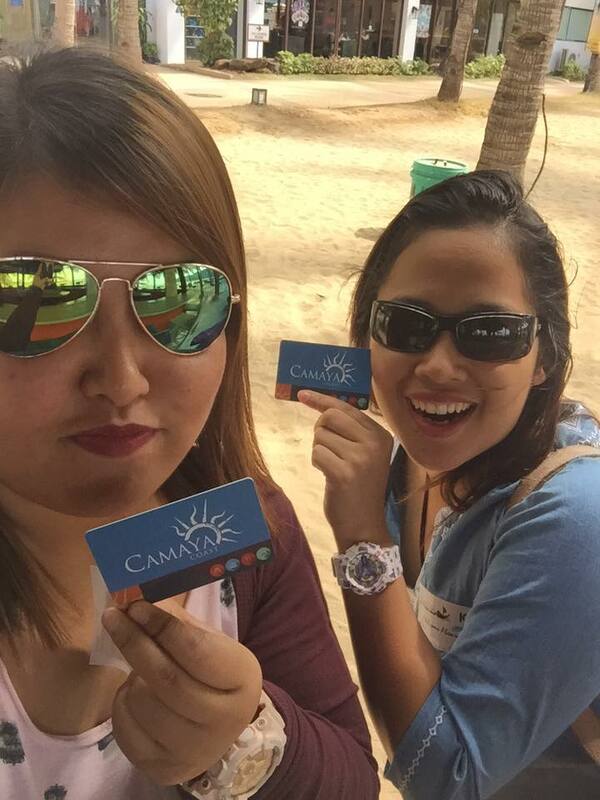 If ever, you weren't able to spend the load inside your card, it has no expiration so for your next trip to Camaya, you can still use it! 3. 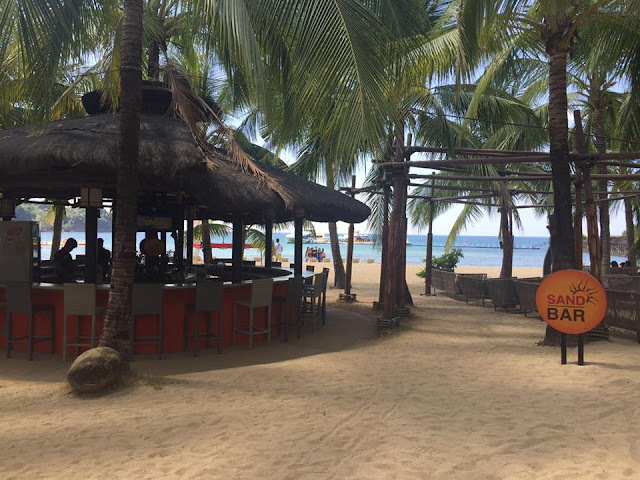 Please proceed to Sandbar (this isn't the pure white sandbar like that of Kalanggaman island but this is where you buy your liquor). The staff there will assign your locker and this is where you'll buy credits for your Camaya Coast card. 2. Inflatable obstacle is free and unlimited. Please don't bring your celphones or iPads, all gadgets are prohibited while you're here. 3. Enjoy swimming at their infinity poo. Please wear proper swimming attire (cotton isn't allowed) because they are pretty strict. 4. Beach of course, if you can take the heat from the sun. Restaurants in Camaya Coast are pretty expensive that you wont feel the discount they give of 10%. Snack & Potato Corner as well. Insider tip: You can actually add your food while you book your day tour via website. It costs only Php 249 (quarter chicken, rice, pancit canton and shanghai). 1. Departure of ferry is 3:30 pm. Make sure by 3:00 pm you're on your way to the port. Estimated time of arrival to MOA is at 5:15 pm. 2. 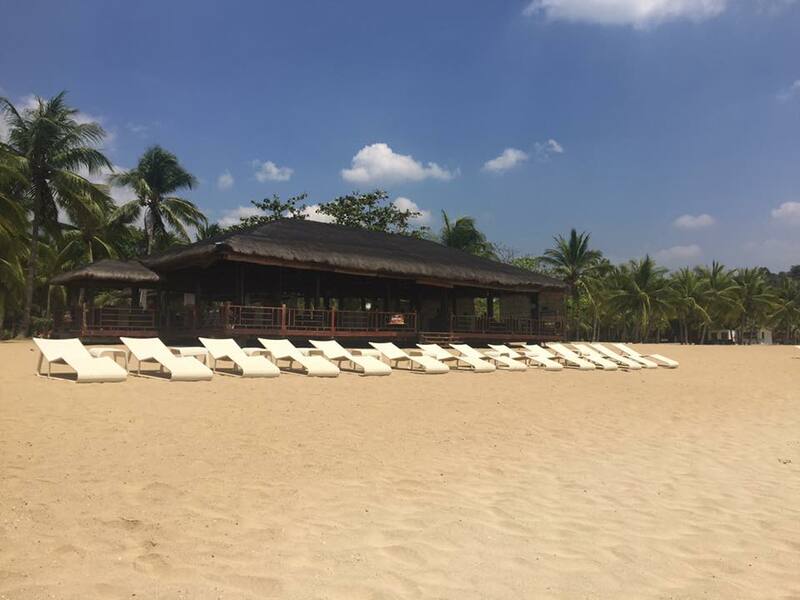 If you want to stay overnight, price is from Php 7k to 17k per night. Just keep checking their websites for discounts. 3. There's a fire dance show with fireworks every Fridays and Saturdays night only. 4. Live bands are occasional. 5. Ferry rides have two different schedules(7 am - 3 pm then 12 nn to 8 pm) . There's one in the morning and one in the afternoon. You are required to ride on the same ferry. If you booked for a 7 - 3 pm schedule, you need to go back to the ferry for the 3 pm departure. You can't be accommodated in other ferries. 6. Don't miss the beautiful sunset. Hi! I read your blog, i'm just wondering if you have knowledge for the price of their liquors? How about the prices for accommodations?